Gladio operatives were involved in a silent Coup d’etat in 1969, and multiple bombings in the1960’s, 70’s and 80’s in Italy alone. The Italian Government released a 300 page report on Gladio Operations in 2000. The report, unsurprisingly said that, the massacres, bombings and military operations were planned and executed by men within the Italian Government and the American CIA. In 1980, Italy experienced its worst ever terror attack at a train station in Bologna. 85 died in the attack and over 200 were wounded. The investigation led police to Vincent Vinciguerra. Vinciguerra, the Joe Valachi of the Gladio conspiracy, under questioning, explained that he was protected from arrest and allowed to escape after these operations. This would explain why so few arrests were made in these attacks over such a long period of criminal activity. He also explained that the terror attacks since the 60’s were state sponsored and blamed on Communists or left wing groups like the Red Brigade. Today the blame for their false flag terror is being blamed on the people who happen to live on land that Israel desperately wants and sits on top of a whole bunch of sweet crude Oil. Muslim terrorists are now our controllers bogeyman of choice. It appears Gladio has become an element of the “War on Terror.” Former President of Italy, Francesco Cossiga, the man who revealed the existence of Gladio, told Italy’s most respected newspaper that the 911 attacks were run by the CIA and the Mossad. Cossiga said this was common knowledge amongst global intelligence agencies. A group of Mossad Agents were arrested on 911. Police were called about some Middle Eastern men filming the burning towers and celebrating. Dubbed the “Dancing Israelis” by the New York Times. They worked for Urban Moving Systems, an Israeli owned company, who’s owner fled to Israel shortly after the attack. The company was likely a Mossad front. They later appeared on Israeli TV and admitted that they had been sent there to document the event. How did they know? The Manchester attack appears to be another false flag terror attack. As usual the patsy being blamed had a long relationship with British Intelligence. Right on cue ISIS claimed responsibility for both recent attacks in England. How convenient. Does anyone really believe this nonsense? There is already a mountain of evidence that ISIS is funded and controlled by the CIA and the Israeli Mossad. The plan is to take out Assad and Balkanize Syria the same way they are tearing apart Libya and Iraq. What we have been seeing since the the first bombing at the Twin Tower Complex in 1993 is a continuation of Operation Gladio. The first bombing in the North Tower, like most of the so called Muslim attacks, would not have gotten off the ground without a lot of help from the FBI and the CIA. The Media doesn’t give them the credit they deserve. I guess our controllers don’t think it would be prudent for the rubes to find out that their Intelligence services were recruiting, training and providing explosives to terrorists. Former Marine Intelligence Officer, CIA Clandestine Officer and whistleblower, Robert David Steele, recently stated that, “Every single terror attack in the US was a false flag attack”. There is evidence of prior knowledge and government involvement in both Trade Tower attacks and the Oklahoma City Bombing. Reporters on the scene in Oklahoma City that day reported, the OKC Bomb Squad were finding unexploded bombs inside the building. General Ben Partin, a Bomb expert, said that the explosions did not come from a truck bomb filled with fertilizer, but plastic explosives placed inside the building. The official story of the fertilizer bomb nonsense will be written in our history books, even though General Partin laid that lie to rest the day after the bombing. 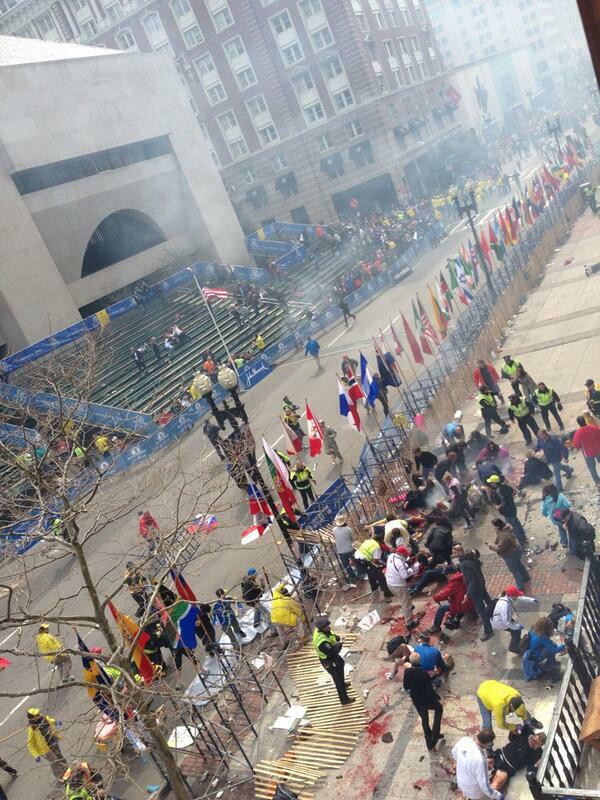 It was disclosed after the Boston Bombing that the Tsarnaev Brothers were being handled by the Boston FBI. They also have an uncle, who not only has worked for the CIA, but was married to Senior CIA official Graham Fuller’s daughter. The Tsarnaev Brothers were probably set up to be patsy’s. 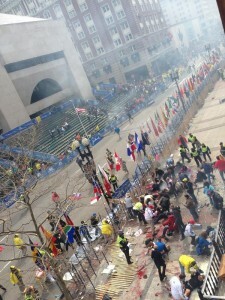 They were likely told to be at the Marathon finish line by their FBI handler, to take part in the bomb drill that was taking place at the race site that day. The 911 terrorists weren’t radical Muslims. They smoked, drank, snorted Coke, and dated strippers, They gambled on a boat owned by Republican super lobbyist Jack Abramoff. Before Abramoff went to prison he claimed to have a hundred Congressmen in his pocket. Why were they on Abramoff’s gambling boat shortly before 911? They took flying lessons at known CIA run airports and US Air Force Bases, and were protected at every turn by US Intelligence agents. Few travellers remember that we are forced to take our shoes off at airports because of “Shoe Bomber Richard Reid. Even fewer are aware of Reid’s connection to British Intelligence through his radical Imam, Abu Qatada. Qatada, who has a 20 year year relationship with British Intelligence, was a big influence on terrorist Zacaria Moussaoui as well. Underwear bomber, Umar Farouk Abdul Mutallab was originally refused entry to American Airlines flight 63. He later was allowed to board the flight when American Intelligence officials interceded. We live in an era of mass mind control and a blossoming police state. Cops stand down, while George Soros paid thugs and ignorant, college radical, wannabees rampage across university campuses. Cops sit and watch these violent masked rioters smash windows out at universities, set cars on fire and take over campus buildings without fear of recrimination. Meanwhile, police continue to beat, tase and arrest citizens for legally filming them. Police are stealing millions from honest citizens through unconstitutional civilian asset forfeiture programs. Small crimes become more of a priority for the police state as violent crime is reduced. Violent crime and gun crimes have been dropping for years but cops don’t want their budgets cut. What’s a police force to do? Enter Jeff Sessions and Donald Trump. They are law and order guy’s. This is code for, “I take a lot of dirty money from the private prison industry”. This might explain his push for more mandatory sentencing and a renewed war on Marijuana. Thanks Jeff. Your controllers in the private prison industry are, no doubt, toasting your treachery. We will never get the truth from the media. The sickening government approved mouthpieces will not put the pieces together for you. You are on our own to figure it out. These false flag attacks will continue and become more frequent. We can expect an Increased police presence, more attacks on free speech, more hate laws and more harassment from the TSA when we travel. We can also expect censorship of websites, continued youtube censorship and the banning of books that go against this phony government narrative. The Military Industrial Complex faced the same dilemma as the police, but their manufactured “War on Terror” fixed that.